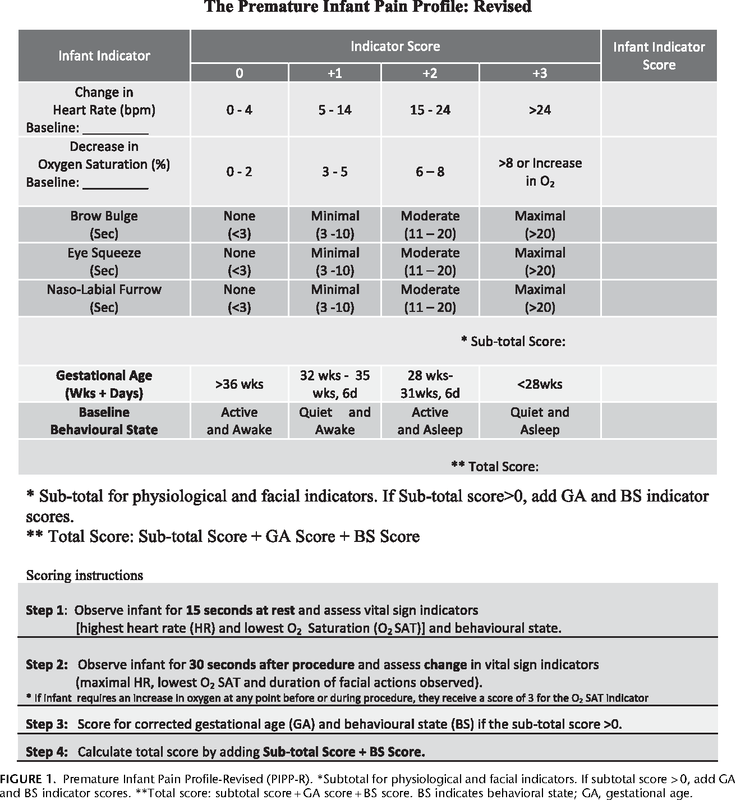 The premature infant pain profile-revised (PIPP-R): initial validation and feasibility. Pain assessment and pharmacologic management for infants with NEC: a retrospective chart audit. Pain assessment and intensity in hospitalized children in Canada. Evoked potentials generated by noxious stimulation in the human infant brain. The premature infant pain profile: evaluation 13 years after development. Putting pain assessment into practice: why is it so painful? FIGURE 1. Premature Infant Pain Profile-Revised (PIPP-R). *Subtotal for physiological and facial indicators. If subtotal score > 0, add GA and BS indicator scores. **Total score: subtotal score + GA score + BS score. BS indicates behavioral state; GA, gestational age.